When you add the “Virtosoftware Related items” column, you have to define Related Items Definitions) settings. You should select the child list, choose content type to display and define a view. 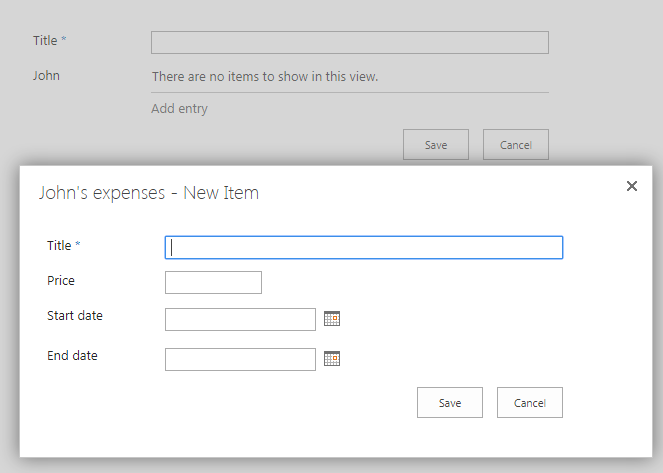 The checkbox “Show view selector” allow you to add the view drop down menu to list item’s Edit form. 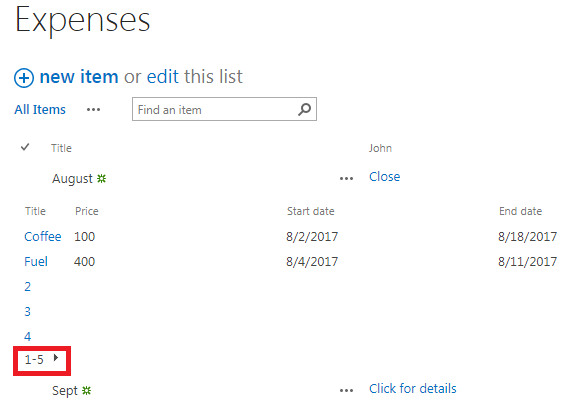 The “Linked column” field contains the lookup column name pointed to the parent list. 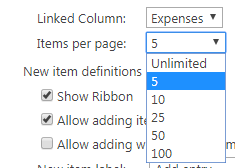 “Items per page number” setting allows you to define the number of items (5, 10, 25, 50, 100, or unlimited) displayed on the View and Edit forms. For example, I selected 5 items per page. Other column’s items are available to view on the next section with 5 next items by clicking on the arrow. The next setting allows you to define the new item form appearance. It is possible to remove ribbon from the items Create and Edit forms, using checkbox “Show ribbon”. On this screenshot, the ribbon is disabled. You can enable or disable the ability to add new items to child list. Other option is enable/disable ability to add new items to a child list right from the parent list. It is also possible to define text displayed on “Add new item” link in the parent list, when you allow to add new items. The text will be applied to form. Do not forget to save the settings to apply all changes to lists.